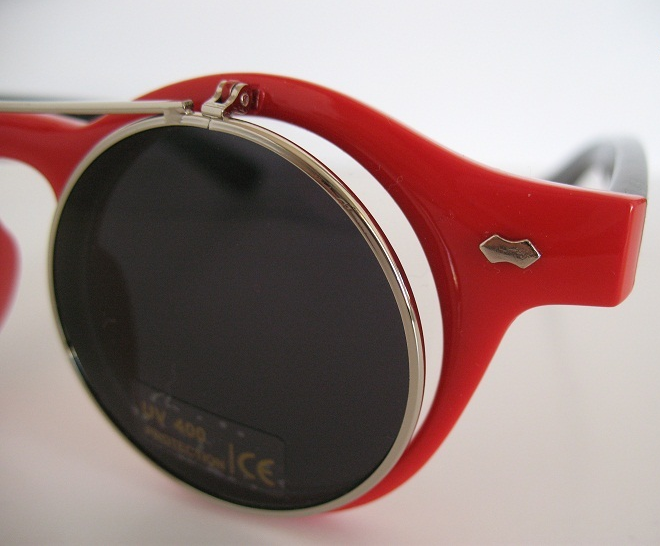 Call me crazy, but I want to bring back flip-up sunglasses, and it's purely for practical purposes. I only wear glasses when I drive or watch tv, and my doctor says that with my weak prescription, it would do me more harm than good to wear contacts all the time. Prescription sunglasses are terribly expensive, so what's a girl to do when driving into the sunset? Flip-ups and clip-ons! That's my answer, and I don't care that they fell out of fashion circa 1989. They just make sense. 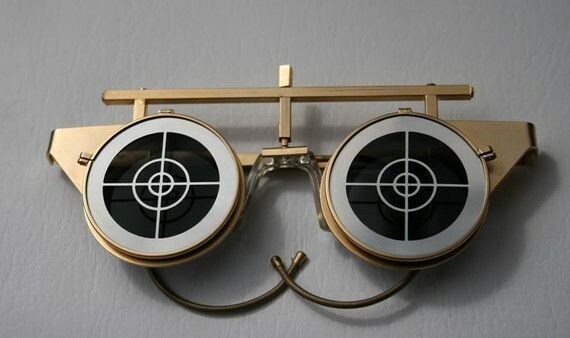 Plus, I managed to find some pretty awesome vintage frames on Etsy and eBay. Check them out after the jump. 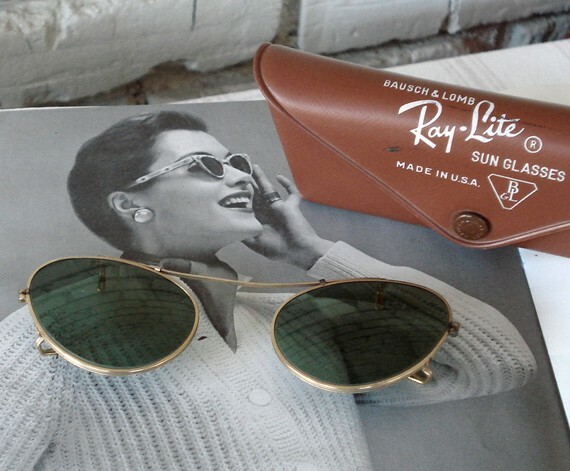 It's the model more than anything that makes me admire this 1950s cat-eye pair. It's hard to see here, but these are 12K gold frames with some really incredible detailing! I can never get enough tortoiseshell. This steampunk style from the '80s is pure costume, but I know there's one of you who could pull these off.